It is so rare that a movie is loved by everyone. Well PADDINGTON 2 is that movie. PADDINGTON is based on the best-selling and internationally adored series of children's stories by British author Michael Bond, which has sold more than 35 million copies worldwide, been translated into over 40 languages and captured the imagination of children and adults around the globe. 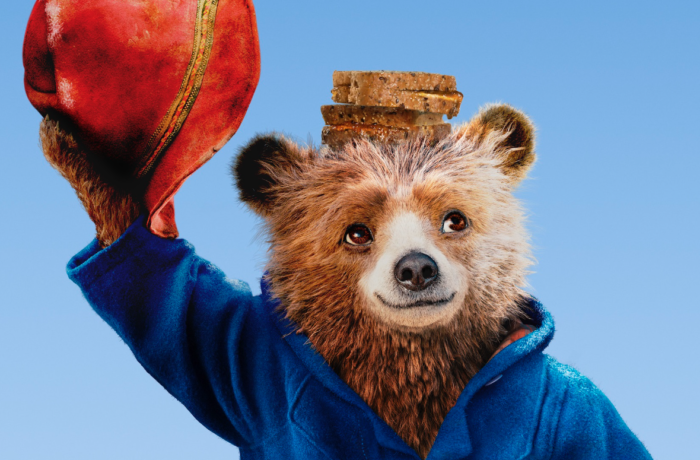 In this version Paddington is happy and settled with the Brown family where he has become a popular member of the community, spreading joy wherever he goes. While searching for the perfect present for his Aunt Lucy's 100th birthday, Paddington sees a unique pop-up book in Mr. Gruber's antique shop and does a variety of odd jobs to buy it but when the book is stolen, it's up to him and the Browns to find the thief. The first one in 2015 was one of the biggest surprises of the year but now this one is even better! Has that great British humor but at its core is what resonates, the emtoion and lovable Paddington. Directed by twice BAFTA nominated Paul King, PADDINGTON 2 is co-produced by multi-award-winning David Heyman / Heyday Films (producer of all eight of the HARRY POTTER films, GRAVITY, THE BOY IN THE STRIPED PYJAMAS, FANTASTIC BEASTS AND WHERE TO FIND THEM) and StudioCanal, who will also distribute in the UK, France, Germany, Australia and New Zealand.